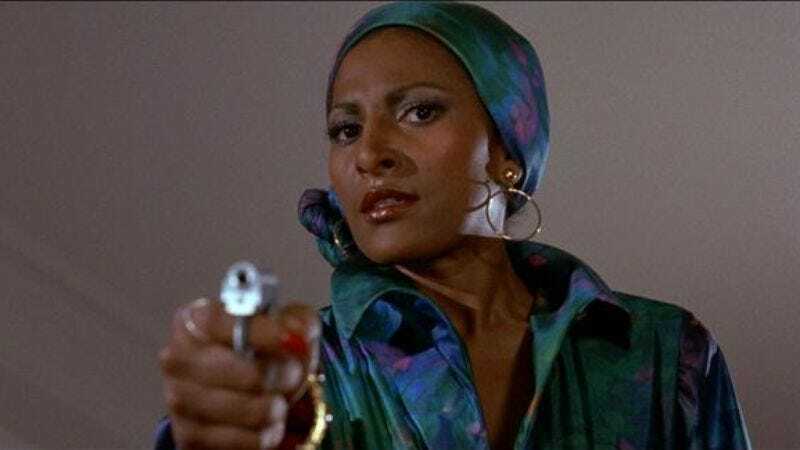 The Society for the Appreciation of Pam Grier achieved a major coup today, as Deadline reports that Hulu is developing a TV series based on the 1974 blaxploitation classic Foxy Brown. In case you need a refresher—and we don’t blame you, the plots of these movies can be quite similar—Foxy Brown is “the one where Pam Grier teams up with the Black Panthers,” not “the one where Pam Grier pulls a razor blade from her hair.” (The latter would be 1973’s Coffy.) Like many Grier vehicles from this era, the film revolves around Foxy Brown’s quest for revenge—in this case for the death of her boyfriend, an undercover government agent, at the hands of a rival drug gang. Actress Meagan Good, fresh off of Fox’s recently canceled Minority Report reboot, will star as the gun-toting, bar-brawling heroine. The series bills itself as a “modern reimagining” of the film, which actually makes sense for once considering the original has its good points (a strong female action hero) and bad points (stereotype-affirming depictions of black culture). DeVon Franklin and Tony Krantz, both of whom are also working on the nascent Cooley High remake, are set to executive produce, with Empire writer-producer Malcom Spellman and Hand Of God creator Ben Watkins handling the script.